A dog that two people claimed to own was returned to a St. Louis man who had previously had her microchipped. DENVER — A dog who was at the center of a dispute between two people who claimed to own her has been returned to a St. Louis man. The Denver Animal Shelter said two people claimed they owned Molly, who ended up at the shelter. 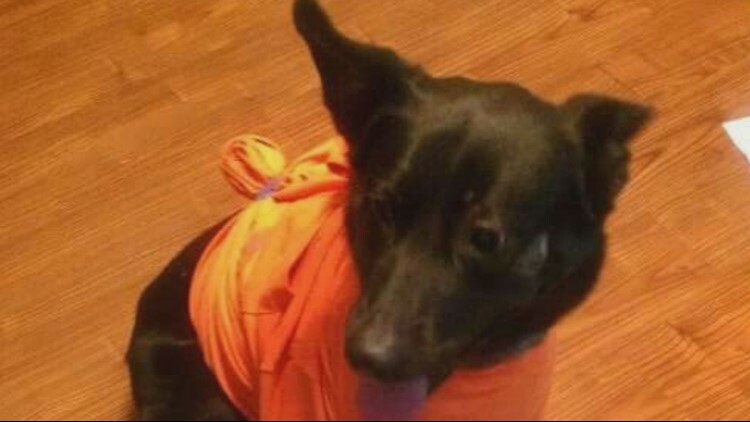 A microchip showed that the dog belonged to Jason Senseney, who lives in Missouri. Senseney drove to Denver to get Molly after getting that call, only to be told another person was claiming ownership. Senseney told 9NEWS he adopted Molly as a puppy in St. Louis, where he lives when she was just a few weeks old. When she was about six, he said she ran away. It's unclear how she ended up in the Denver area. Earlier this week, the city confirmed Molly's microchip information was connected to Senseney, but said microchips were just one of many tools used to determine ownership of a pet. The shelter would not share any information about the other person’s claim of ownership of the dog, but said that person also lives out of state. Thursday night, Molly was turned over to Senseney because the other person dropped his or her claim of ownership, according to a statement from Denver Animal Protection. "Denver Animal Protection is satisfied with this outcome and is glad that 'Molly' is going home,” the statement said.